* Tickets can be purchased by 20 minutes before the closing time. if necessary depending on the number of passengers. of unusual weather conditions (strong winds, lightning strikes). * Group discounts apply for a group of 30 people or more. 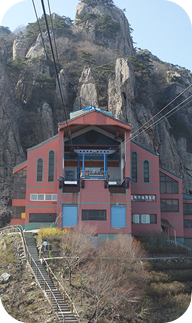 This is a photo gallery to see the views of Daedunsan Cable Car in four seasons and other surroundings. Click the following images. We offer information on the location of Daedunsan Cable Car and traffic information. Should you have any question, please contact us. The person in charge will check your question and give you an answer. 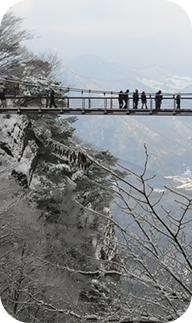 This is a photo gallery to see the views of Daedunsan Cable Car in four seasons and other surroundings. Click the following images!